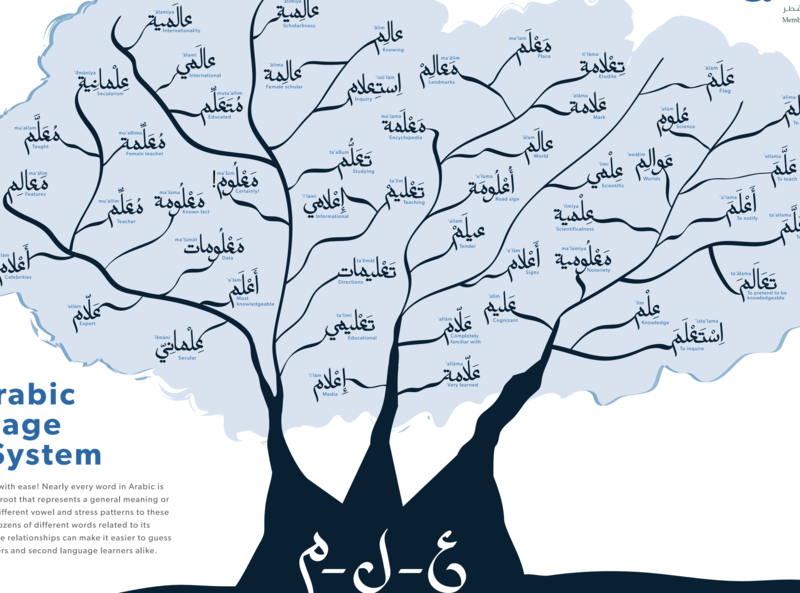 Here’s an infographic of the Arabic Language Root System. Learn 50 Arabic words with ease! 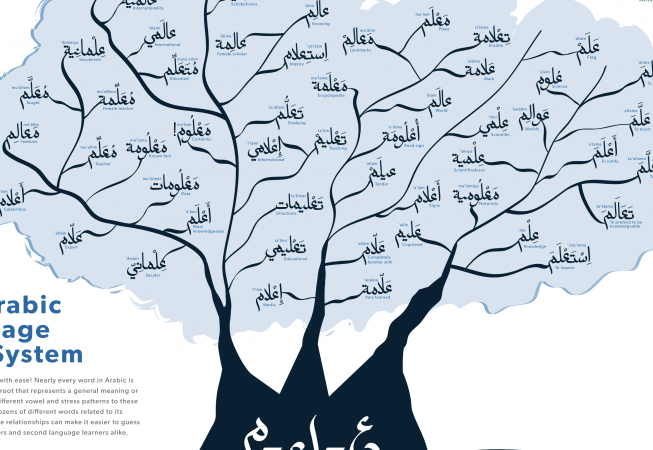 Nearly every word in Arabic is based on a three-letter root that represents a general meaning or concept. By applying different vowel and stress patterns to these roots, you can create dozens of different words related to its meaning. Knowing these relationships can make it easier to guess words for native speakers and second language learners alike.